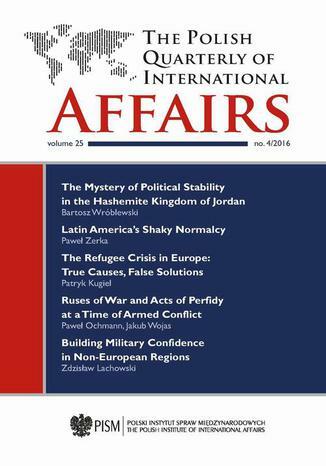 The Polish Quarterly of International Affairs nr 4/2016. Ebook. Paweł Ochmann, Paweł Zerka, Bartosz Wróblewski, Patryk Kugiel, Zdzisław Lachowski, Jakub Wojas, Marek Rohr-Garztecki, Michał Marcin Kobierecki, Vinay Kaura. Ebookpoint.pl - tu się teraz czyta! Serious political crises observed in the Arab world since 2011 have resulted in the overthrow of or attacks on several dictatorships, but it is interesting to note that deep crises of state structures were observed in the Arab republics, while the monarchies retained political and social stability. The author observes that this is hardly a coincidence, as the monarchs rely on the traditional legitimacy of power, with the reigning dynasties depending either on their descent from Prophet Muhammad or on their contribution to the renewal of Islam. The authority of these monarchs is close to absolute, even in Jordan, where many European arrangements have been adopted (for example, a constitution, parliament, and elections). This text examines several decades in Jordan’s development, focusing on the crises of authority in 1951, 1956–1957, 1967–1970 and 1989–1991. In times of crisis, the Hashemites draw on their prerogatives as absolute rulers, and on the concept of the ruler in Islamic tradition, so Jordan’s history may be presented as an example of the stabilising role of monarchies in the Arab world. This text analyses recent political and economic developments in Latin America (including Argentina, Bolivia, Brazil, Cuba, Peru, and Venezuela) which in the author’s opinion demonstrate that the region has entered a new phase of political transition. The author suggests that the “golden age” of the Latin American left has come to an end, first and foremost due to the completion of the commodities’ super-cycle and rising public disillusion with the performance of left-wing leaders. He concludes, however, that this need not translate into an inevitable “turn to the right,” nor signal a beginning of the long-awaited inter-American rapprochement, especially given that the presidency of Donald Trump in the United States, coupled with mounting political tensions and economic difficulties at home, may force Latin America to confront new challenges. Although the deal between the European Union and Turkey on return of migrants and sealing internal borders in the Balkans did help to slow down the inflow of people to the EU in 2016, the refugee crisis is far from over. While many institutions and politicians suggest new solutions, it is important to better understand true sources of migration. This analysis examines the main pull and push factors and the European context, to establish whether proposed solutions to the problem can bear fruit. It concludes that, instead of looking for solutions outside Europe, the EU and its Member States must reform asylum policy and support frontier states. Although the European Commission proposal does point in this direction, it may be still hard to implement without certain revisions. This paper deals with intrigue and trickery during martial activity, as the authors examine the admissibility of various gambits from the perspective of international public law. They provide several historical examples to illustrate their analysis, with a view to determining the extent of admissible subterfuge and defining the lines that must not be crossed. The end of the Cold War provided the international community with an unprecedented opportunity to overcome numerous historical antagonisms, crises and conflicts, but at the same time to face up to new challenges and threats in many parts of the world. A crucial, inspiring role has been played by confidence-building measures (CBMs), especially in the OSCE area. The culmination of CBM development took place in the 1990s, but the processes of strengthening politico-military confidence and trust continued to evolve, at various paces and with varying degrees of success, in non-European contexts in the following decades. Political-military solutions in this field do not necessarily imitate those of the OSCE, and more and more bravely make use of indigenous concepts. Nowadays, the dynamics of confidence building has slackened due to changes in world politics, although the military CBMs still offer a security cushion against “foul weather” developments in international relations. Pakistan’s security policy is defined, articulated and implemented by the country’s army. This is a problem at many levels, mostly because the security policy history is full of shortsighted mistakes, delusional adventurism, and a narrowly defined concept of national interest. Pakistan’s reputation as an exporter and facilitator of terrorism is mostly in line with the Pakistani state’s historical actions. In order for Pakistan to function as a stable, democratic and constitutional state, it would have to change the way it imagines itself and its role in the world at large. But the Pakistani military is not going to hand its monopoly over security policy to anyone in the foreseeable future, because the military mind has proven itself to be largely incapable of doing this. This has serious implications for India. This article investigates the issue of sports diplomacy pursued in order to build political alliances. The research is a case study concerning an attempt to bring the non-aligned countries closer through the Games of New Emerging Forces (GANEFO). The aim of the research is to establish whether the GANEFO were in fact an attempt to create a political alliance. This initiative was developed by communist China and Indonesia, therefore the research also refers to their political motivations concerning the event. This allowed testing of the hypothesis that the GANEFO were the simultaneous result of independent sports diplomacies pursued by Beijing and Jakarta, even though they cooperated. 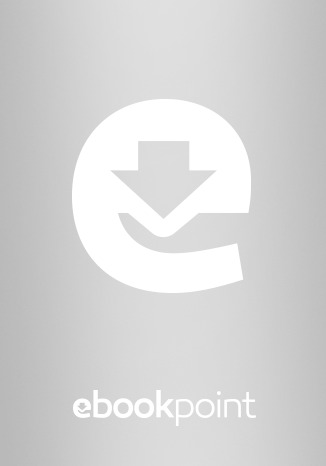 Mobi + Epub 33 pkt.